Beijing, 15 March 2016 – Leading international public relations and public affairs firm Hill+Knowlton Strategies (H+K) has appointed QC Liang ( 梁启春) to the new position of CEO China. He will be responsible for the management of H+K’s operations in Beijing, Shanghai and Guangzhou, reporting to Ye Yu, EVP APac and Chairman China. QC Liang’s experience combined with Ye Yu’s extensive knowledge of our global network, positions us strongly to bring the best solutions to Chinese brands. “QC Liang’s appointment comes at an important time for Hill+Knowlton Strategies as we expand our service portfolio for Chinese companies growing their brands globally,” said Jack Martin, Global Chairman and CEO, Hill+Knowlton Strategies. “QC’s experience combined with Ye Yu’s extensive knowledge of our global network positions us strongly to bring the best solutions to Chinese brands,” he said. QC Liang’s 25 years’ experience in marketing and communications in China includes helping two international PR firms establish themselves in the China market over a 12 year period. 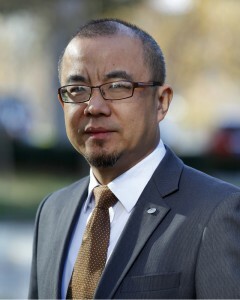 Since 2007 Liang has worked at TCL Corporation in Shenzhen where he was Assistant President and General Manager of Branding, responsible for the company’s public relations, advertising, branding strategy, sports and entertainment marketing, among others. He was also the managing director of TCL’s media and entertainment business, and secretary general of TCL’s charity foundation. He began his career at the China International Public Relations Association. Hill+Knowlton Strategies, Inc. is a leading international communications consultancy, providing services to local, multinational and global clients. The firm is headquartered in New York, with 87 offices in 49 countries, as well as an extensive associate network. The agency is part of WPP, one of the world’s largest communications services groups. Hill+Knowlton Strategies was the first international public relations company to establish a presence in the People’s Republic of China with the opening of its Beijing office in October 1984. It is China’s leading strategic communications consultancy, with a successful track record of providing high quality public relations support to companies, organizations, and government ministries and agencies.